We are pleased to inform you that White Knoll High School is making CoreCourseGPA.com, a web-based software program, available to all White Knoll High School student-athletes and their parents/guardians free of charge. 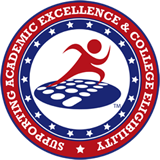 CoreCourseGPA.com incorporates the NCAA recognized core courses for White Knoll High School into the online course entry forms, calculates BOTH Division I and Division II core course GPA, automatically factors weighted grades into calculations and tracks course requirements for BOTH Division I and Division II. Your son or daughter’s core course information is saved for the duration of their high school career. White Knoll High School is proud to make this innovative software available to you free of charge. We believe CoreCourseGPA.com will be a very useful academic tool for you and your student-athlete.